We are Chennai’s favorite Wedding Planners who assist you in hosting a Wonderful Wedding at Amazing Venues, Great Food, Trendy Decorations, Exciting Entertainment and a truly Memorable Experience. The team behind ‘Wonderful Weddings’ are the creators of Super-Hit “Funtastic Birthdays”. With vast Event Hosting experience, friendly approach and Creativity in its DNA, the team behind Wonderful Weddings are ready to assist you with an experience like ever before! 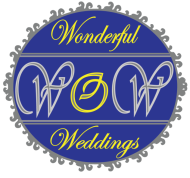 Wonderful Weddings conducts classes in Wedding Planners. It is located in Okkiyam Thuraipakkam, Chennai. It takes Regular Classes- at the Institute.